Bill found the lure they wanted. He was the only one to catch, yesterday evening. 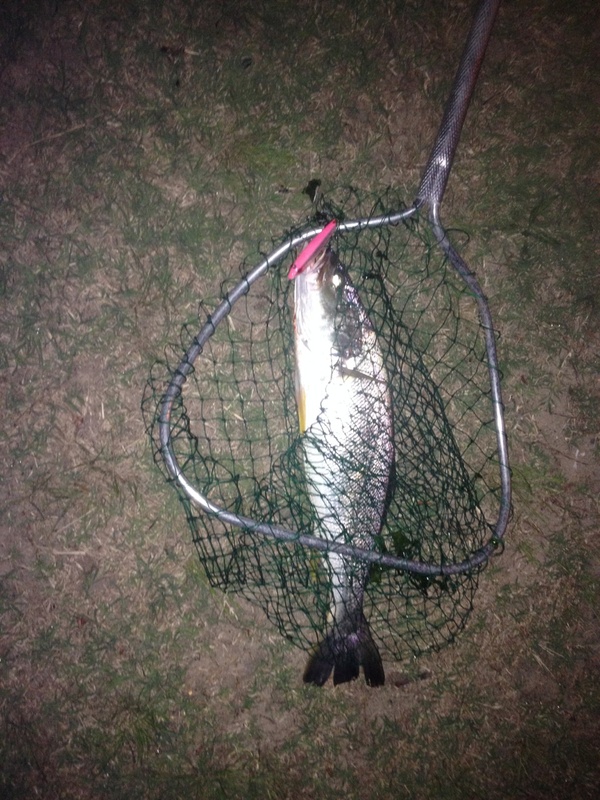 The weakfish and summer flounder bite slowly picked up, after the endless windy weather. It is still a hunt to find the fish. Even after the fish are located they are very selective. I have one spot that I use as an indicator for summer flounder, in this one area. Water temperature , clarity, all of the conditions were good. Yet, I had to hit them over the head with the jig before they would move. I was just about ready to move on, when a 22″er grabbed the lure. The weakfish were just as tough, holding out for the old school mirror lure. Severn weakfish were caught in the spot I was fishing. Including a gigantic tide-runner weakfish that Bill Collins lost during the landing. The fish was well over thirty inches long. An easy 11 pound fish. The good news is, he is still alive. I have caught , tagged and released a few weakfish over the years. I have found that they are usually recaught in the general area. During the same season. My money is on Bill.